There are times in life when I have to pause, if only for a moment, to contemplate whether or not my neighbors just heard the (in retrospect very loud) noises that escaped my mouth during a particularly involved gaming session. This can usually be attributed to a short temper, but for a game like The Splatters, it's not always moments of frustration. Although those come up frequently, don't get me wrong, so too do the narrowest of narrow comeback victories that compel one to cheer like a maniac. 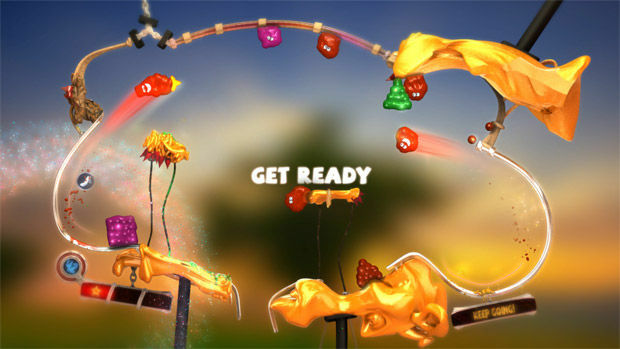 In The Splatters, you really only have one goal: remove all of the bombs on screen. This is done using adorable little goo creatures who don't seem to mind death. Launching these smiling splatters across the room will inevitably cause them to explode, wiping out any bombs their ooze comes into contact with. Although that probably sounds easy, you don't directly control their movement; instead, you aim them in a general direction and let physics do the rest. Granted, access to further abilities comes before long, and winning isn't enough -- you've got to look good while doing it and, of course, keep your combo meter up. No time to rest. For instance, your splatter can perform a second, mid-air "jump" should you have an object to maneuver around. Depending on how you go about it, the poor critter will either outright explode upon hitting something solid, or it'll split in half, leaking some bomb-destroying ooze and letting you get another shot in. Describing the subtleties of The Splatters in text is likely a lost cause, so I'll finish by simply saying that the developers sure do get a lot of mileage out of using essentially only the A button, left trigger, and analog stick. Conceptually, there isn't a whole lot to The Splatters, but that's not to say it can't be surprisingly deep. You'll realize this immediately after browsing the leaderboard, which includes full game clips. Some of the top-scoring runs are baffling to see play out on your television. Better yet, loading these clips takes no time at all, so there's little reason not to pick up some tactics from the most skilled players. One of the moves in your arsenal, the flip, initially looks like a time-rewind ability, but it's better described as reversing the direction of moving objects (e.g., splatters and bombs). The end result is an extra layer of control and the potential for absurd chain reactions. 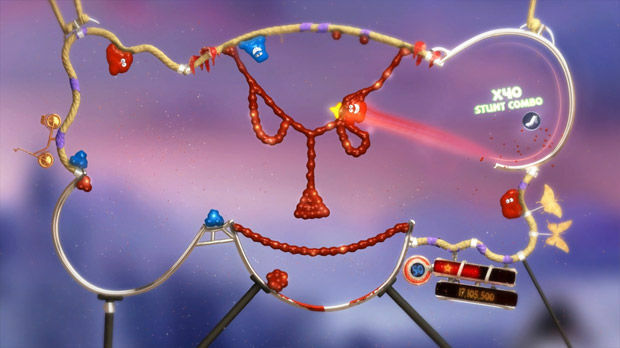 It's at this point when the game goes from being an all-around great physics puzzler to an incredibly enjoyable one with a unique hook. It helps that The Splatters has a great level of polish to it. Though I don't know if this was the case or not, it seems plausible that the core mechanics were mostly figured out early on and the bulk of development time was spent making sure everything else -- from sound design to fluid dynamics, and all aspects in between -- was the best that it could be to support the gameplay. 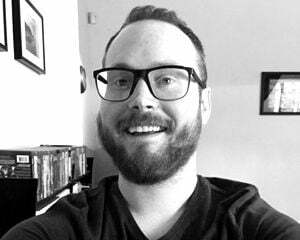 While the majority of levels are a blast to play through and deliver feelings of sheer pleasure to your brain, I encountered a handful that felt finicky. As in, I would have a solution in mind and try doing it essentially the exact same way repeatedly until finally, countless attempts later, the plan worked. Obviously, something must have changed to bring about victory, but from my perspective, these situations can come off as frustratingly inconsistent and arbitrary. This was not a widespread issue by any means, and to be fair, it was almost exclusively the later levels that gave me trouble. The only other qualm I had was that The Splatters reuses level designs. While the placement of bombs, splatters, and other elements change so you aren't playing the exact same puzzle twice, you'll definitely start to feel like you've been treading across familiar ground by the time you near the end. This was clearly a tradeoff used to extend the game's length, so I can't complain too much. 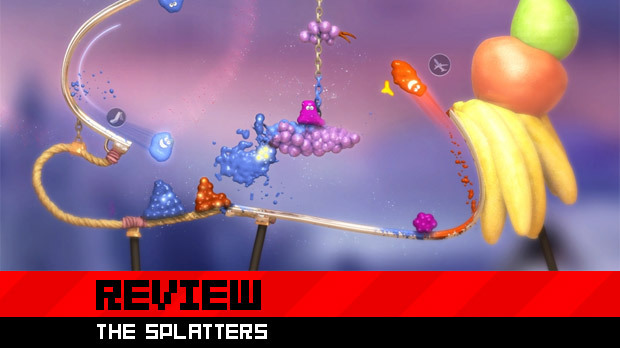 Given its intuitive control scheme, easy-to-grasp premise, and satisfying execution, The Splatters is one of those games that just about anyone can pick up and have a good time with. As an added bonus, it's also remarkably entertaining to watch someone else play, even if they're not very good. Despite a few nitpicks here and there, I can't compliment it enough. 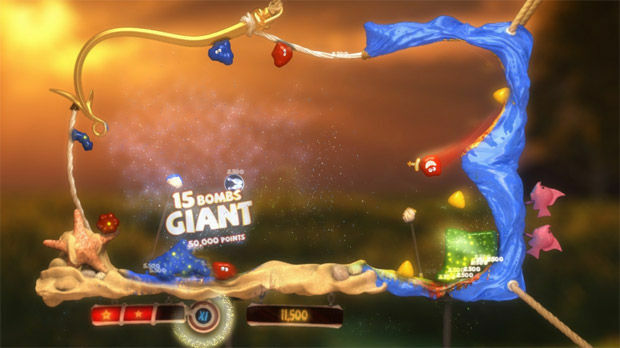 The Splatters is a truly wonderful game, one that reminds us how terrific a platform Xbox Live Arcade was during its prime and still has the potential to be. Go add points to your account and download this immediately.